While the cause of an enormous fire that engulfed the historic Parisian Notre Dame Cathedral has yet to be determined, the destruction of hundreds of other French churches has been concerning Christians across the globe over the past couple of years. In the month of February alone, some 10 incidents of vandalism and desecration of Catholic churches were reported across the European country. According to Anglican Mainstream, on average, two French churches are desecrated every single day. According to the Catholic News Agency, on February 5, an altar cloth was set alight and crosses and statues were torn down and disfigured at Saint-Alain Cathedral in Lavaur. The beautiful, 800-year-old building had recently undergone major renovations. Following the brutal act, the city’s mayor, Bernard Carayon, poignantly declared, “God will forgive. Not me,” according to La Croix. Then, just a day later, vandals at a Catholic church in Nimes stormed into the sanctuary, threw the consecrated hosts (which Catholics believe to be the actual body and blood of Jesus) on the ground and drew a cross on the wall in excrement. The sickening incident devastated the local faith community. “This act of profanation hurts us all in our deepest convictions,” Bishop Robert Wattebled said at the time. 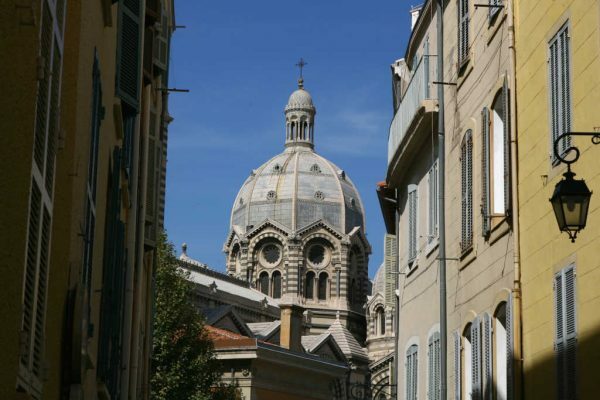 The Observatory on Intolerance and Discrimination Against Christians in Europe recorded yet another incident of vandalism on February 9 at the Church of Notre-Dame de Dijon in Côte-d’Or. “Every day, at least two churches are profaned,” Valérie Boyer, an opposition MP for the Republican party, told the outlet, according to Premier UK. The attacks don’t stop at France, however. Recently, Germany has seen an uptick in arson attacks on its places of worship. In the month of March, four separate incidents of church vandalization were recorded. “There is a creeping war against everything that symbolizes Christianity: attacks on mountain-summit crosses, on sacred statues by the wayside, on churches… and recently also on cemeteries,” noted German outlet PI News. While we mourn the loss of one of the most iconic churches in the world, which by recent accounts appears to be accidental, let’s remember that places of worship across this nation, and across Europe as a whole, are being desecrated, vandalized and attacked on a frequent basis. Let’s also pray for the restoration of churches and the protection of faith communities facing similar threats from hostile groups.